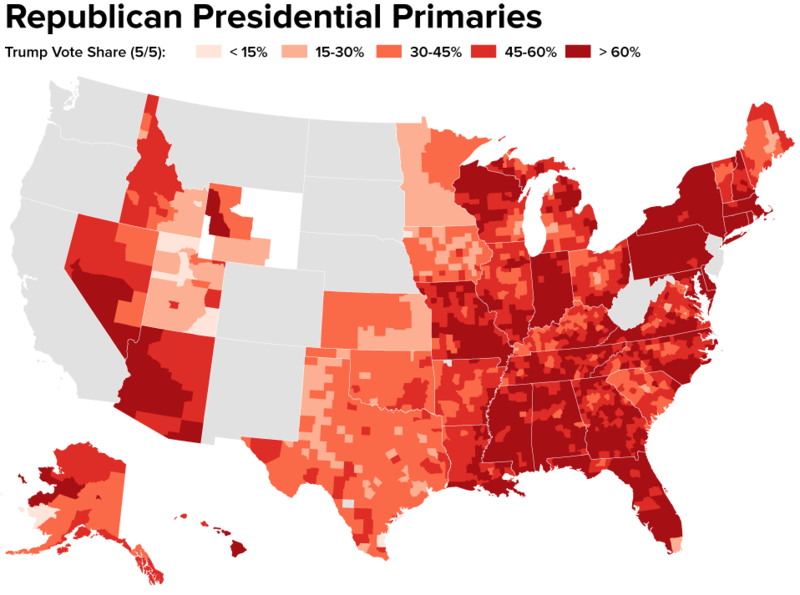 The GOP presidential candidates collectively have raised more than $300 million in this election cycle, according to Federal Election Commission data. Here’s a quick look at where several of those candidates — Jeb Bush, Ben Carson, Chris Christie, Ted Cruz, John Kasich, Marco Rubio and Donald Trump — collected the money. Each dot on the maps (see update below) below represents at least $5,000 raised by zip code. 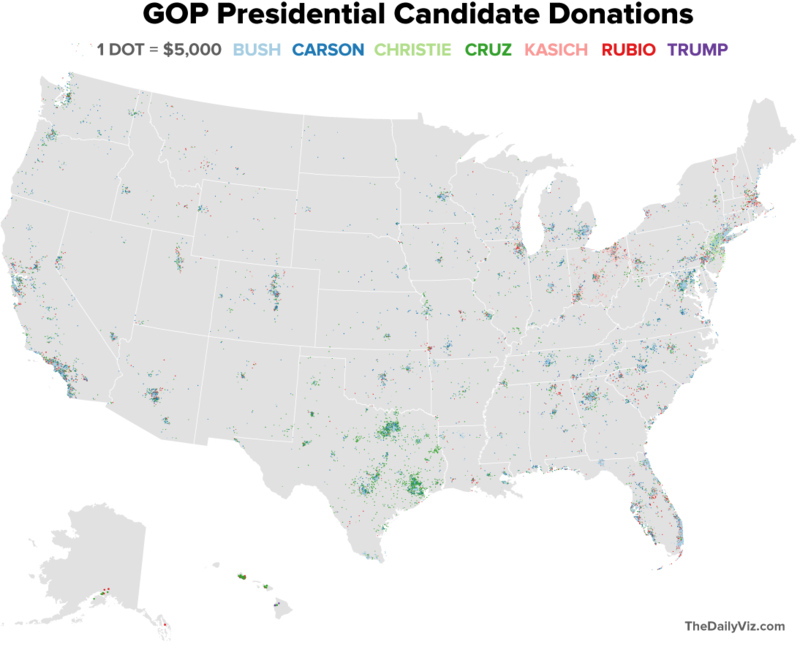 The dots in each place are assigned randomly within the zip code boundaries, creating a density map (think Verizon vs. AT&T) for campaign donations* through Feb. 29. The Texas senator raised money from all over the country, but he clearly has a financial base in Dallas-Fort Worth, Austin, San Antonio and Houston — the major population centers in his home state. 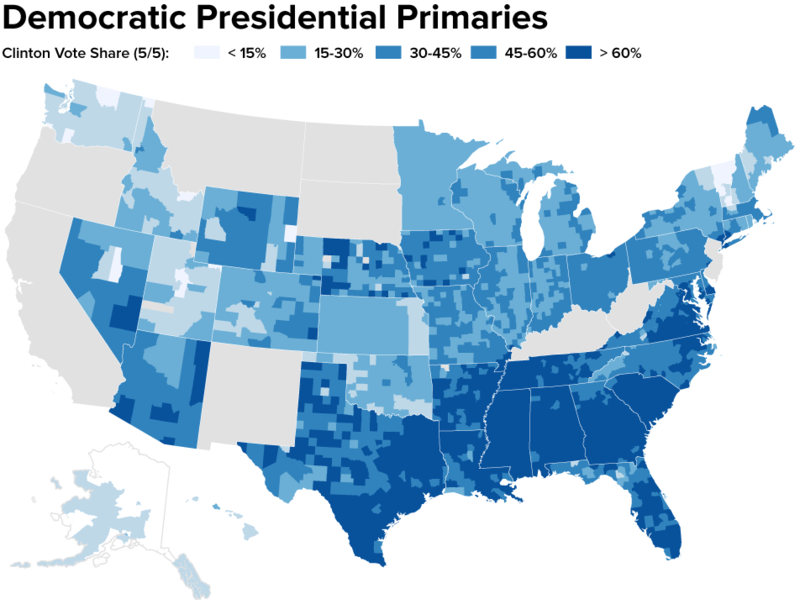 * To keep the analysis consistent for all campaigns, the maps were created with a data set that excluded individual donations of less than $200. 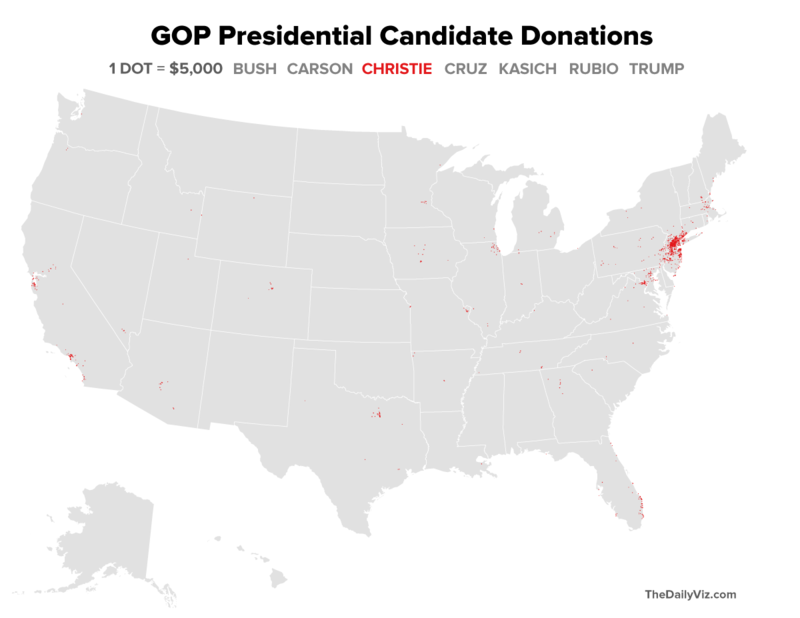 The data include only donations to the candidates’ campaign committees, not other political committees supporting them. UPDATE (9:20 p.m. EST): Based on David’s suggestion in the comments, I’ve changed the dot color in the individual maps so it’s consistent. You can see the originals here: Bush | Carson | Christie | Cruz | Kasich | Rubio | Trump.